SANTA ANA, Ca — On Saturday March 4th, Downtown Santa Ana will be transformed into the Literary Capital of Orange County. Over a dozen art galleries, restaurants, historic buildings and secret spaces will double as houses of letters for literary fans to connect with local and regional writers. “Our region is a wealth of writers and readers,” said Madeleine Spencer, festival organizer and downtown business leader. The Los Angeles Police Department has identified the off-duty officer involved in a physical struggle with Anaheim teenagers as Kevin Ferguson. 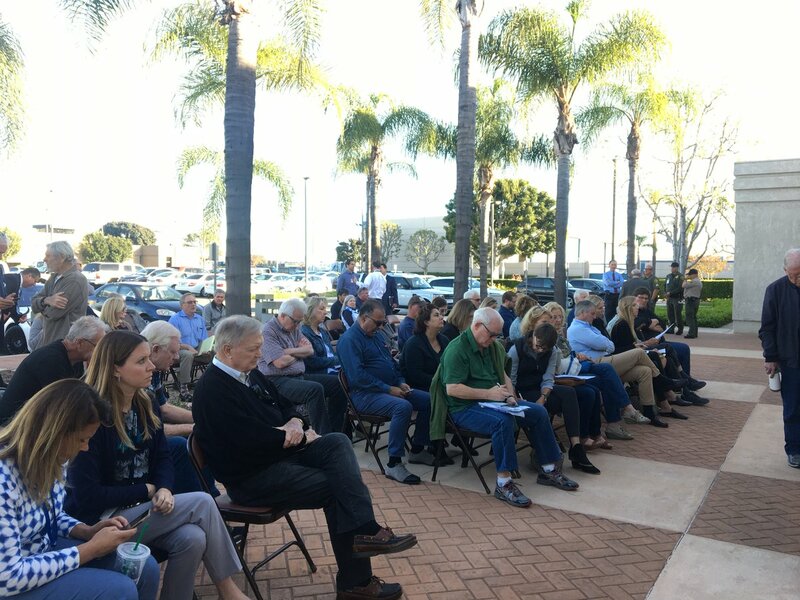 Federal aviation officials are now digging into the awarding of a lucrative John Wayne Airport lease to a company that was ranked fifth by the county’s official evaluation panel. ORANGE – Gov. Jerry Brown has included the OC Streetcar project on a list of 10 high-priority infrastructure projects that the federal government should consider for expedited permitting, he announced during a press conference today. The modern electric streetcar, which will connect commuters to employment centers, schools and major retail destinations in Santa Ana and Garden Grove, was included in a letter from the state to the federal Council on Environmental Quality. There’s a serious risk of the county eventually becoming an economy of low-wage “servants” and wealthy homeowners, unless there’s a stronger focus on expanding the housing supply, according to Chapman University researchers who are advising county officials. The two seats that will be up for election are District 2, which stretches across north Fullerton and has a 67.6 percent white voting population, and District 5 in south Fullerton where 44.1 percent of the voters are Latino. Santana: Will Anaheim Invest in Youth & Police Oversight Before It’s Too Late? Expect a packed hall at this week’s city council meeting in Anaheim, where once again, a police shooting will dominate the agenda. Yet this week, the very structure for reviewing such incidents, the Public Safety Board, is itself up for review. The order requires a physical notice 24 hours before seizing property and mandates that “essential items” like tents, sleeping bags, and medical papers be stored within one mile of where they were taken. Voice of OC Publisher Norberto Santana, Jr., joined a discussion on KCRW today. Santana and Kate Mather of the Los Angeles Times were guest speakers on a KCRW segment discussing the Anaheim incident between an off-duty police officer and teenagers in Anaheim. Click here to listen to the segment on KCRW.